When we refer to zones, we mean portions of a screen that change content independently. Zoning is great way to segment your digital signage content. We have premade certain zone configurations, but if you have something different in mind, you can always set up any configuration yourself. So let’s get to it! 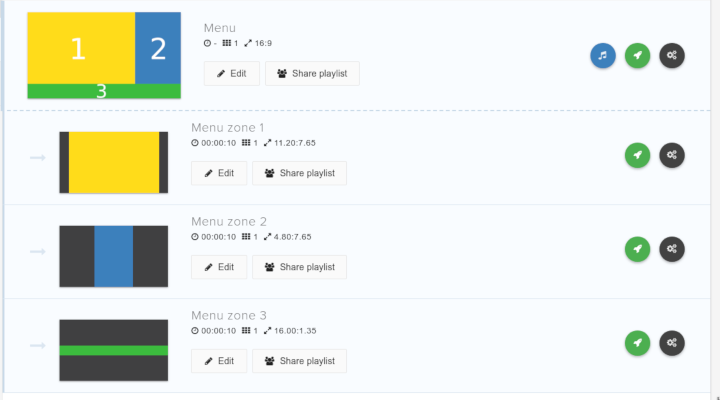 When you create a zoned playlist from one of our presets, behind the scenes the system creates a playlist for each zone (with appropriate aspect ratios) and then creates a final ‘master’ playlist with one slide that includes all these individual zones. When splitting the display area into sections, we must ensure that all these sections combined fill 100% of the screen. 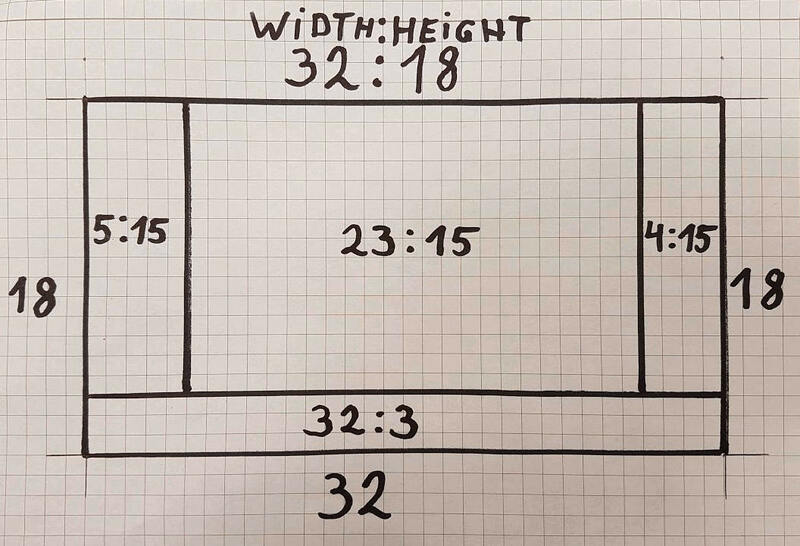 I recommend first drawing your zone layout on a paper, ideally a grid paper as it reduces possibility of making a mistake. 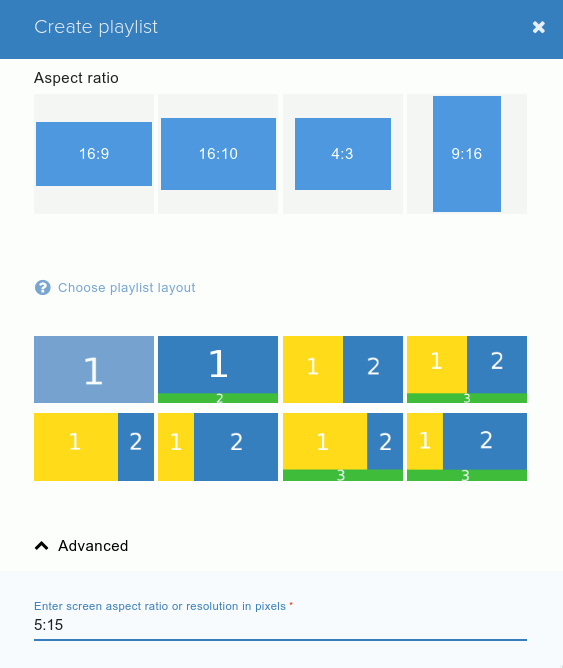 In this example I am going to create a playlist with 4 zones in 16:9 aspect ratio. When done, I have total of 5 playlists. I’ve changed background color for each of the zone for illustrative purposes. When creating a group for your screen, you only need to set the master playlist as the base playlist. My sub-playlists are not nicely formatted? 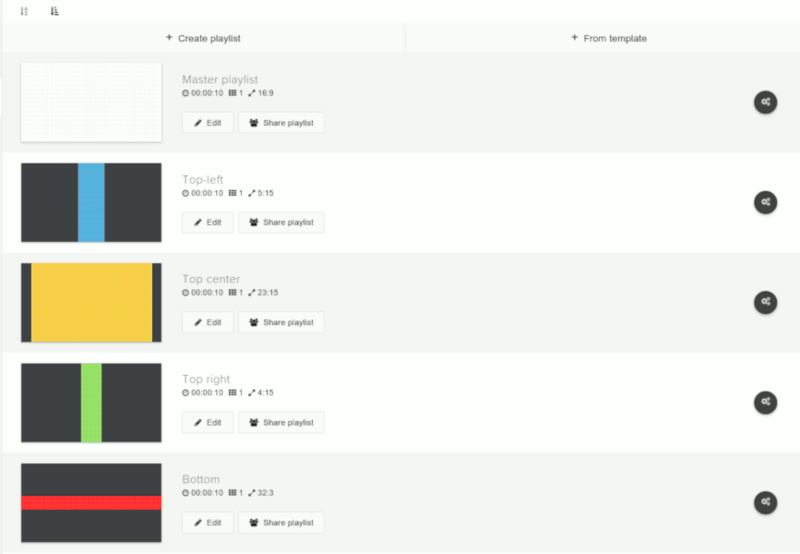 When you create all zones one by one manually rather than using a pre-made layout, the system does not know which playlist is a child of which (and also you can include same playlist in several other playlists). Therefore the sub-playlists will not be formatted nicely as in the screenshot above, but do not worry – the formatting is only eye candy, all functionality still remains the same.